a lady called Kerensa. She asked a fascinating question. It concerned an absolutely astonishing ancient riddle. Deluge (popularly known today as Noah’s Ark). length by 2 stades in breath. “Now, wait a minute,” thought Dave. “That would make no sense. of which was 36 degrees. This was called a “mr”. rather than the Ark’s exaggerated dimensions? Babylonian word preserved in the translation. line that runs from north to south. even though conquered by Alexander. was brilliant. But from here on it became hazy and he lost me. I’d have to figure out the solution my own way… if at all. For now, it went into the “too hard” file. Yet, in the succeeding months, this riddle just would not die. only to slip away again. place. What happened was simply staggering. overlooking a dried mud flow. of attempts before I was finally able to crack it. called “The Insider’s Report” series. Well… are you ready to be shocked??? …once, twice, and more? Some who missed out last week have wished for a time extension. • What if everything in YOUR life changed suddenly in 24 hours? • Was there a time when people could live for 600 years? • Did man once know the secret of eternal youth? sheltered under a giant, protective canopy? …atmosphere and temperature controlled? …a paradise planet? • See a pre-Flood artefact that we could not make today. wiped out the original Mother Civilization. evidence more substantial than for any other event in history. 2 billion people, with their astonishing technology, vanish. 30,000 volcanoes erupt… the planet’s thermal canopy collapses. • The earth’s surface is churned up thousands of feet deep. deep sea creatures swept together onto hilltops. including all form of machinery and construction. • Fossil evidence of men, women, children and animals fleeing. • Animals and birds racing to thousands of hills all over the world. • What brought arctic and tropical animals to the same mountain top? Why are deep sea creatures found high up in the Himalayan mountains? -and water-laid sediment 60,000 feet deep. • See world history knit together in a way that makes sense! • What was the first language? • What happened to all the water? Where did it go? • How did kangaroos get to Australia? • Dry canyons, dry falls, and hanging valleys – what’s happened? • Has the Earth’s radius expanded? the easily cultivated valleys and plains? the FIRST attempt at a world government? sophisticated city folk become jungle savages? • What changed the length of our year? • What happened to the Tower of Babel? 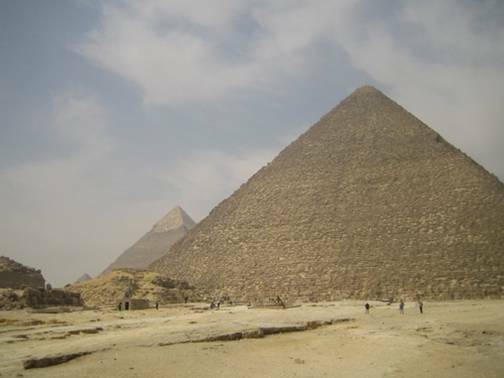 • Where did Egypt’s “ready-made” civilization come from? • Where did all the different races come from? • Do royal genealogies really trace back to Noah? • The rapid birth of the Grand Canyon. • The seaport that climbed a mountain range. • The mummy that came up with a volcano. • Bells that ring under the sea. ranges are barely 4,000+ years old. • Was the Ice Age triggered by HEAT??? • Were there several Ice Ages – or just one? • How long ago was the Ice Age… really? • Was the life span of the human race REALLY slashed suddenly? is found in the immense galaxies in outer space! golden ratio of numbers together. Children, as well as adults, will love this. • Here’s a 2,000 year old riddle – Can you solve it? • Is vital information being COVERED UP? • Why do scientists REJECT most carbon dating results? • Why is physical evidence destroyed? • How could an aircraft be found 263 feet under the ice? • Anti-stress foods and drinks. • Is an astronomical event soon to affect our planet? • A global economic collapse coming? sequence of events coming soon. • THe secret pact between the Zionists and Hitler. • Israel being dismantled – Is a final holocaust being planned? • Is the Vatican planning to take Jerusalem? Asia – and the plot to depopulate our planet. leave you amazed… breathless… and stunned! this week so you can benefit from this. Frankly, you’ve got too much to lose if you don’t. Have you been enjoying the archaeology newsletters? or copy and paste the URL below into your browser. regions of the world. He lectures internationally. Delving into the mysteries, myths and events of the past has made b-c-ing-u.com an excellent reference point for all those – like I – who are totally fascinated by the events that shaped humanity. One equally fascinating point is that despite some very credible and scientific explanations, mysteries remain mysteries open to multiple interpretations.